While attempting to complete the first transatlantic flights, fog put NC-1 and NC-3 off course during the long night flight from Newfoundland to the Azores. At daybreak, NC-1 and NC-3 set down in rough seas to take navigational bearings and never took off. A freighter rescued the crew of NC-1, which later sank. 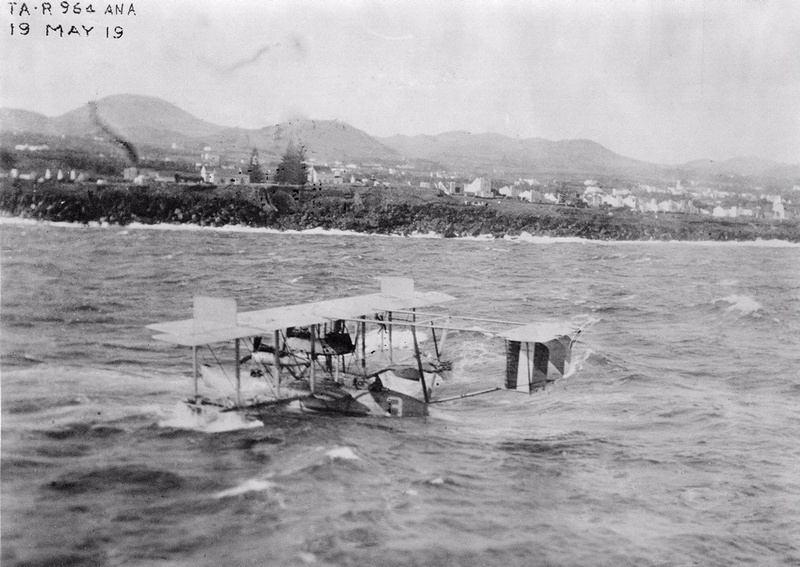 The crew of the damaged NC-3 sailed the flying boat into Ponta Delgada, the Azores, on May 19, 1919. National Air and Space Museum, Smithsonian Institution (SI 89-16713).